1.) 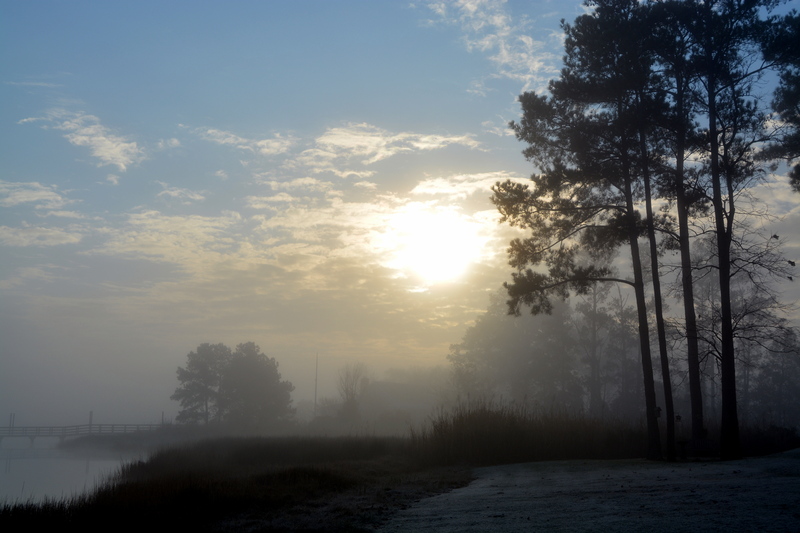 We’ve had warmer than normal weather this week with a couple of foggy mornings. This picture was taken just after sunrise Sunday morning. Groom Swan was here for breakfast, and I grabbed the camera before heading out to feed him. 2.) 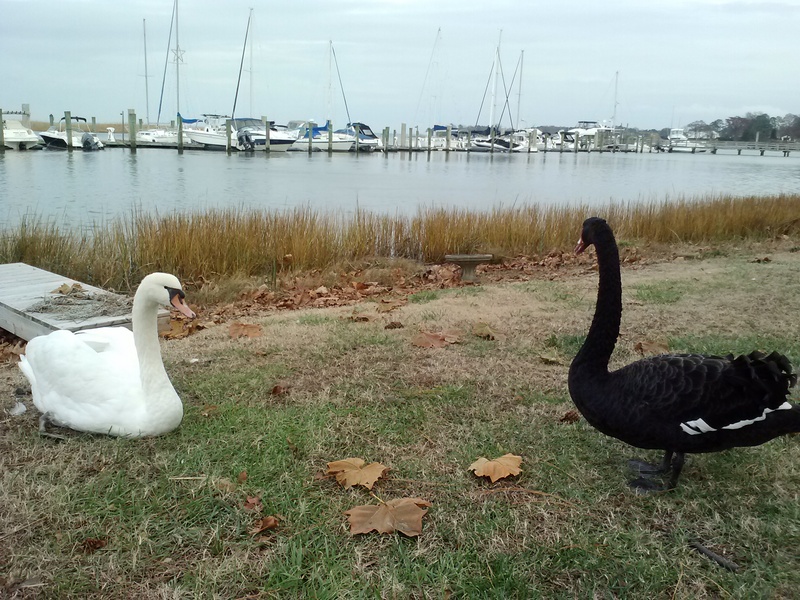 Speaking of swans, this was the scene in our yard when I came home from the shop yesterday. 3. 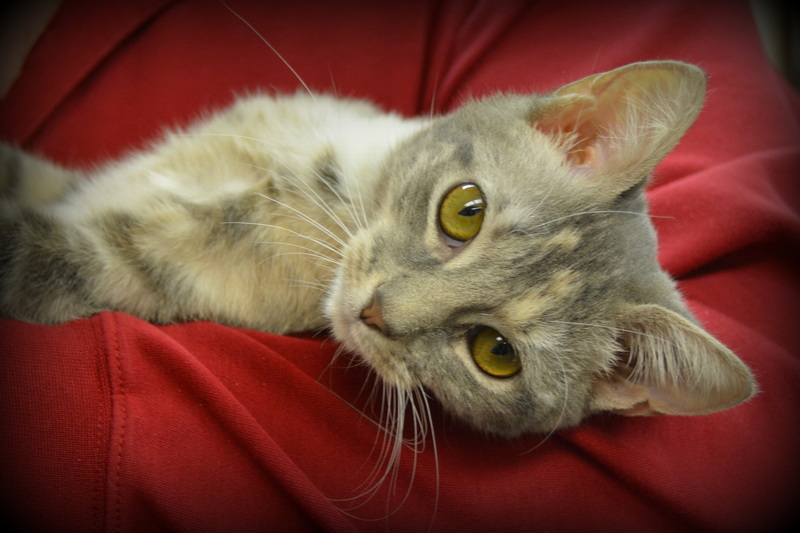 Gypsy continues to be a little love bug. I’ve promised her a blog post of her own soon. 4.) 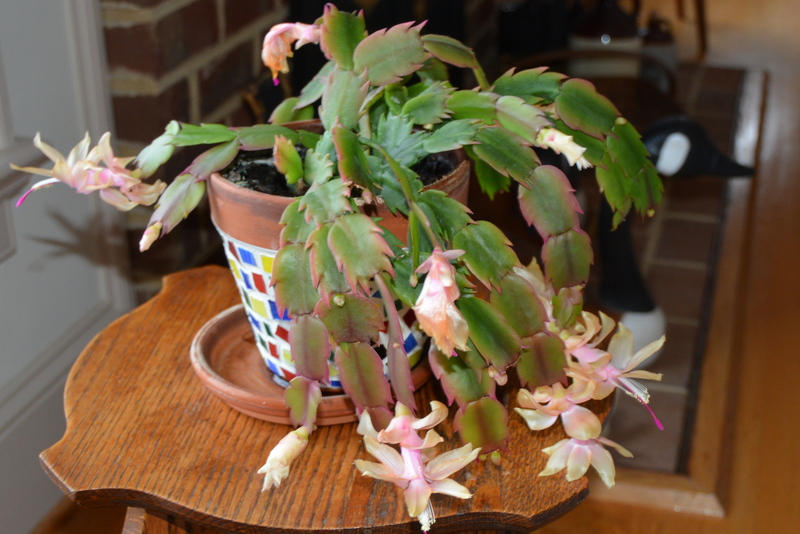 This Christmas cactus continues to amaze me every year; it’s always full of soft, peach-colored blooms. I think the key word here is “neglect”. 5.) 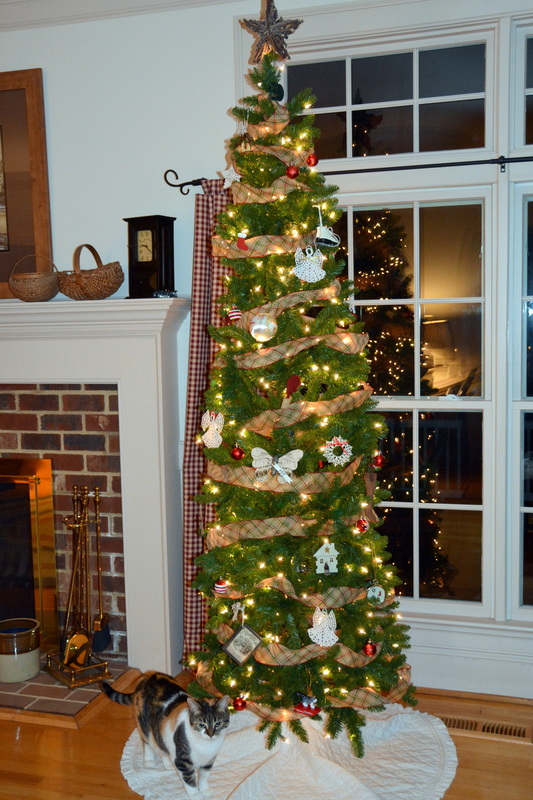 “Candles in the windows”, the Christmas tree is decorated, and Sundae is leaving it be…for the most part. After I set the camera up on the tripod and clicked the shutter button, she politely invited herself right into the picture. Random thoughts this Friday from your neck of the woods…?